This MS Word CV/Resume template is made in Microsoft Word, highly organized so every Microsoft word user can edit it like a pro. Easily edit the typography, wording, colors and layout. right within Microsoft Word. Its a well known fact that a solid resume is vital to finding the job you need, yet assembling a rundown of your capabilities and important work experience can feel scary as a fresh graduate or a section level specialist. 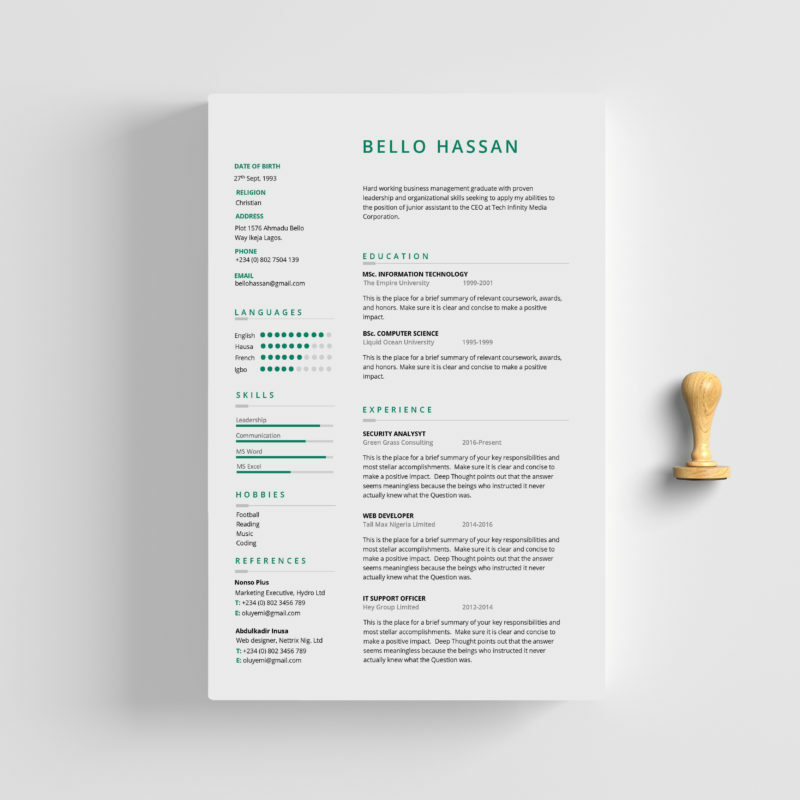 This ms word resume template can enable you to structure your information so you can show your data in a way that puts on a show of being sorted out and locks in. Or if you are somebody who hasn’t had a broad experience, You can focus on using your resume to feature your education and the skills you obtained from volunteering and other activities.